A thoughtful Yankee Candle gift to bring to someone’s home. This gift set contains three different scent votive candles and one red holder that looks like a bucket. 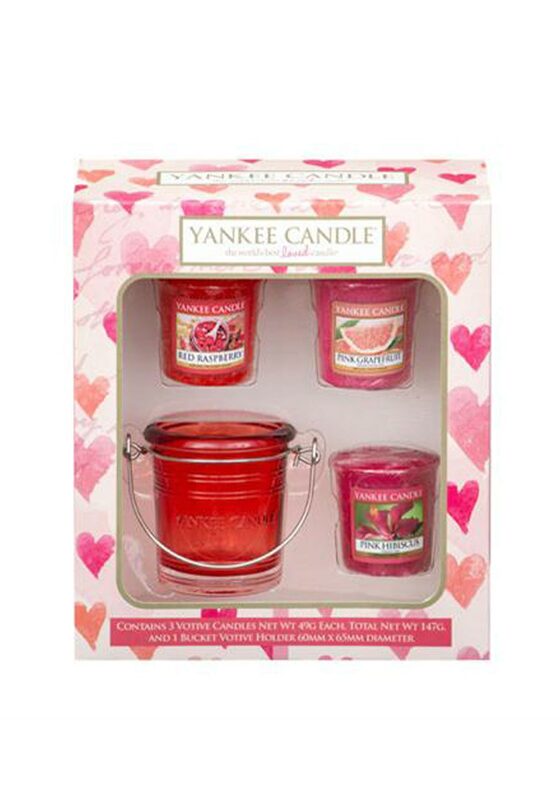 Yankee Candle present this set in beautiful love heart packaging.